When you want to pursue a career in the public health profession, you already know about the coursework and disciplines that make up this profession, but you may be unsure of the direction you want your career to take after you earn your Masters in Public Health. 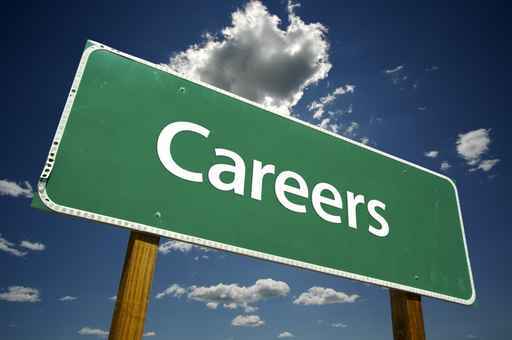 Here is a number of exciting career choices to pursue once you’ve earned your MPH Degree program. See 37+ Online MPH Options! Do you need to brush up on your skill set? Interested in learning more about a particular field? Try comparing our monster list of 200+ free Online Public Health Courses & Training options. Is a career in public health right for me? People with various jobs in the public health industry describe their positions. Epidemiology is the study of how health affects very large populations of people rather than handling patient cases on a one-on-one basis. Epidemiologists work to reduce problems associated with public health crises. They play an important role in educating people about the safest practices for good health. Salaries range from $35,490 to $117,530. These professionals assemble disaster response plans and train other professionals on the best ways to respond to emergencies and disasters. Many of these specialists are employees of the state or federal government. They often work for military as well. The median salary for these important professionals is about $54,000 per year. These highly trained professionals work in a variety of scientific roles in areas that relate to public health. They plan and do R&D in many types of projects in the sciences, such as lab testing, environmental testing and quality assurance. A manager in this field could work with government to ensure that a new business project does not negatively affect public health. Median salary is $116,000 per year. Many nursing professionals are specializing in public health and are dedicated to coming up with optimum public health strategies that protect populations from coming down with serious illnesses and diseases. They work hard to improve unhealthy environments and make them more healthy. Median salary is around $64,000. See more public health opportunities for Nurses. A professional in water quality planning uses their knowledge about the environment and the sciences to protect our environment and our water supply. This professional will determine the problems in the water supply and work to come up with solutions. They work with local governments to return water sources to their original quality. The median salary is approximately $61,000. These professionals provide a very important role in planning, coordinating and directing services in medicine and health care. You could manage the entirety of a health care facility or you could specialize in one area. You would probably focus your efforts on a health care facility in an at-need area that has public health issues. Median pay in 2010 was $84,000. These professionals are educators of people in areas with public health concerns. They teach people how to live healthier lives and make better health decisions that lead to healthier communities. You could work in a needy area in a public health department, a health care clinic or in a business. The median wage in this field is about $47,000 per year. An environmental health scientist uses their extensive knowledge of public health and the environment to protect the public health. They look for problems in the environment and determine the best solutions to reduce any risks to the health of communities and the water and air. The median salary in this field is $61,000 per year, as of 2010. These professionals apply statistics to public health concerns, particularly in the field of biology. You will create experiments and surveys to collect key data that is relevant to maintaining the public health. You will probably collect data from at risk people and communities. The median salary in 2010 was $73,000. You will focus on teaching people and at risk communities about how to engage in healthy behaviors and how to stop diseases from spreading. You will try to promote health and wellness in communities so that people do not get sick in the first place. The median salary you can expect is $46,000 per year. This career may also be referred to as an epidemiologist. This career path has both a high demand and also a good salary. You will research what actually causes diseases to spread and to prevent them from spreading further. The median salary in this field is more than $60,000 per year. In this career, you will try to boost the life quality and the health of people both here and around the globe. You will be working on some of the most challenging public health problems. It is common for people in this field to work for government agencies such as FDA, HHS, and the CDC. Median salary is about $65,000 per year. You will play an important role in ensuring the healthiest outcomes possible for people who live in developing nations. You could work for such organizations as USAID, or possibly the State Department, and you will ensure that people in needy communities are eating a diet that will keep them healthy and disease free. You should expect a salary of about $38,000 for this career field. In this career, you will need to perform analysis of health situation reports in many different communities and countries. You also could do your own research on public health policy, and assemble presentations for officials in the government. A typical median salary in this field is about $45,800. As an expert in food and nutrition, you will give people the best advice on how to eat to stay healthy, or to lose weight. You will need to explain the issues that people need to understand regarding staying healthy and eating well. The median salary in this field is about $52,000 per year. This exciting career is also known as a microbiologist. You will work on lab testing and scientific techniques that involve tissue samples and fluids to assist doctors in getting more effective diagnoses for many different diseases. The median salary for biomedical scientists is $66,000 per year. This position is for an expert in the field who is familiar with situations in countries that are developing, who has the knowledge to implement plans that will reduce health hazards. You could work for such an organization as the International Rescue Committee, which responds quickly to some of the world’s worst public health crises. In such an organization, you would provide assistance that is desperately needed to save refugee lives who had to flee their homes because of natural or man made disasters. Your salary should be up to about $46,000 per year. This career path combines politics, business, and science that you need to manage both the human and fiscal resources that are needed to deliver the most effective public health services. In this profession, you could work in both administration and resource development. You could work in both the private and public sectors. You could specialize in organization, planning, policy analysis, finance or marketing. You should expect a salary of between $37,000 and $61,000 per year. In this field, you work to prevent harm to workers, property, the environment and also the public. You will promote occupational health and safety in your organization by advising management on how to boost worker productivity while also protecting their health and well being. You will likely work in environments that will control, eliminate and prevent diseases or injury in workers. You should expect a salary of between $39,000 and $65,000 per year. Much depends on if you work in the private or public sector. In the public sector, you earn less, about $45,000, but you have more job stability. A clinical research coordinator is a type of specialized research professional who works with a clinical principal investigator, who is an MD. The PI is mostly responsible for the design of the study, as well as its conduct and management. The coordinator supports, facilitates and coordinates the daily activities of the clinical trial. The coordinator also works closely with the PD, sponsor, department and organization to support and give guidance on the administration of the clinical trial. Clinical trials can be done in many areas, including medicine and public health. A research assistant is a professional who works in a public health laboratory and analyzes survey and trial data. Research assistants may work with chemicals in labs or in engineering firms where they work on statistics. Many also work in various parts of public health, where they help supervisors study diseases, illnesses and environmental problems that have an impact upon public health. Research assistants frequently collect and analyze data, keep records and prepare detailed reports for supervisors. A non-profit coordinator often works in a public health-related organization in many parts of the country and world. The coordinator provides leadership for various nonprofit activities related to public health. Some of these may include leading a campaign to help people in needy communities to stay healthy, or to help the non-profit to raise money for various causes related to public health. A non-profit coordinator is going to normally report to the manager or executive manager of the non-profit. A non-profit executive director usually is at the top of the organization, and can perform many of the same roles as a CEO in a private business. The executive director usually works with the board of directors, who provide guidance, contacts and resources to the organization. The board is usually involved for making key decisions about the nonprofit, but it is the executive director who makes the day to day decisions about operations. Most non-profits related to public health have an executive director.